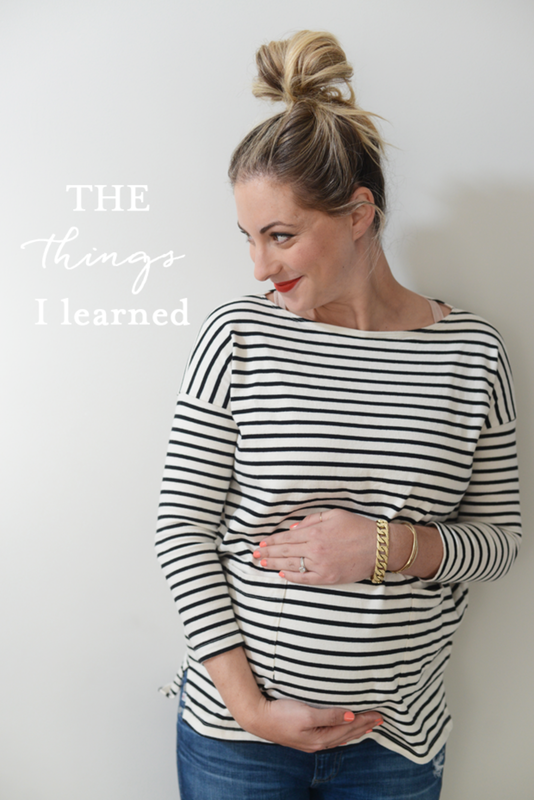 Before I became pregnant, my knowledge of the topic was severely limited. I knew some details, like the possibility of morning sickness and the importance of staying active, but other than that, I was pretty clueless. Having gone through it, there are a few things that I found truly astonishing. Keep in mind that every woman&apos;s pregnancy is unique, so these are based on my experiences alone, but here are the ten things that surprised me about the process. 1.Pregnancy is closer to 10 months. I was a little deflated once I realized pregnancy was longer than I had expected. Look, 40 weeks is totally doable, but since I&apos;m kind of neurotic about timing, finding out the process was an additional month was an unexpected curveball. 2.The aversions you develop are legitimate. My first trimester was hit or miss. I wasn&apos;t completely incapacitated, but I got sick every few days and found little comfort in anything other than carbs and lying down. Since it was a rough time, anything I associated with that period still turns me off. The ginger chews I ate constantly? I can&apos;t even smell them without my stomach turning even now. Things like the perfume I wore are now repugnant and I&apos;ve had to retire a few of my favorite scents. I assume I&apos;ll get over these things eventually, but I still find it surprising that these aversions are so acute. 3.The second trimester is awesome. One of my friends told me that as soon as I entered the second trimester, I&apos;d feel a lot better. She insisted that I&apos;d have this crazy burst of energy, feel fantastic and actually start to enjoy the pregnancy a bit. At the time, I didn&apos;t believe her and even resented the fact that she was potentially giving me false hope. But sure enough, somewhere around the 16th week, things shifted. I went into overdrive with my work and felt like I&apos;d gotten my life back. 4.No two days are the same. All of the changes that happen during pregnancy are so weird that it&apos;s easy to assume there&apos;s a scary new symptom/ache/pain always around the corner. But the thing I found surprising is that even the toughest day can be followed by one that&apos;s a breeze. 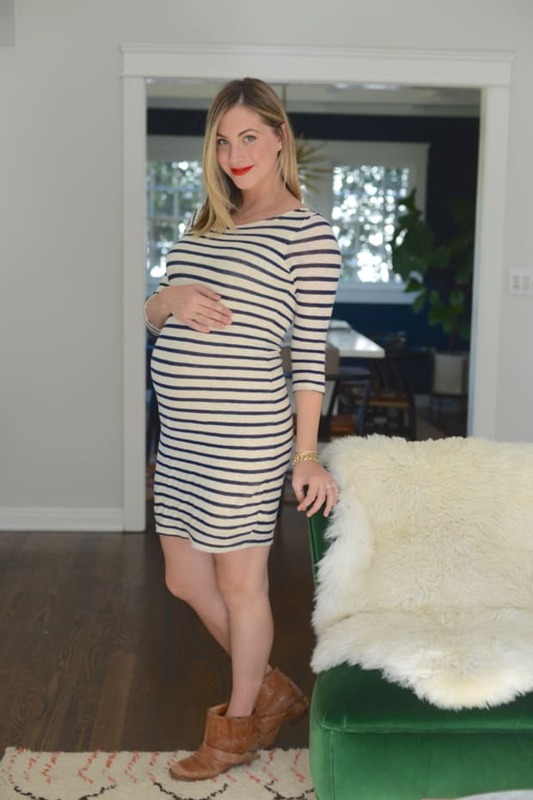 In my 9th month I started experiencing pretty severe hip pain and my doctor tried to reassure me that my hips were "simply spreading apart" to accommodate the baby&apos;s arrival, which freaked me out even more. I&apos;d be walking and all of a sudden, I&apos;d double over in pain, barely able to stand up straight. When it happened the first time, I was convinced I&apos;d have to be bedridden or reliant on a walker for the remainder of my pregnancy, but sure enough, the next day I was totally fine. 5.The breaking of social norms. People suddenly felt like it was appropriate to comment on everything, whether it was my weight, the size of my belly or even how tired I looked. Strangers would randomly grab my stomach and others would overshare every detail of their horrifying birth stories. It&apos;s bizarre and something I had to try and remember not to take personally. 6.Behavior changes in the cats. Cali, who&apos;s perpetually independent, was much cuddlier. Rocco was obsessed with my stomach and Luna developed weird, adorable habits like nibbling on my fingers as if she was eating corn on the cob. In short: the animals knew something changed and they were suddenly much more interested in me at all times. 7. Changes are gradual. I assumed that changes to my body would happen suddenly, to the point where it would be difficult to shave my legs or get out of bed. While both of those tasks did become increasingly challenging, the changes were much more gradual. One time, when I was washing my face, I noticed that I was splashing water everywhere. I thought that maybe something was wrong with the sink or the faucet, but realized it was my burgeoning bump that was getting in the way. In the final months, I had to put a towel down on the counter to soak up all the excess water. 8.Weird new pains. There were times I&apos;d lost all feeling in my hands and fingers, my legs seized up and my lower stomach felt so cramped that I was convinced something was seriously wrong. Nope. Just fun little parts of pregnancy I wasn&apos;t aware could happen. 9.Being more socially conscious. 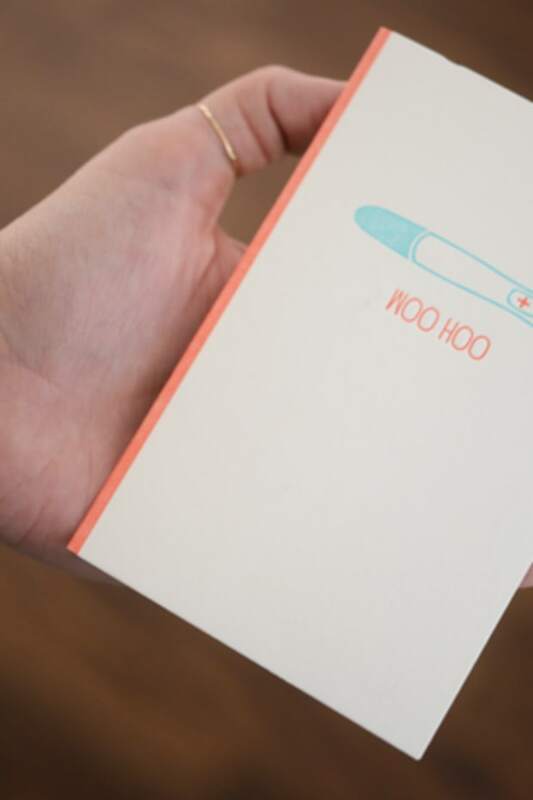 In the beginning of my pregnancy, I was pretty self consumed with how lousy I felt. But as soon as that dissipated a bit, I was able to gain a larger perspective on the entire situation. I realized that it wasn&apos;t about just me anymore and that I was bringing a new life into the world that I&apos;d be responsible for. I&apos;ve been making more environmentally friendly choices (i.e. installing solar panels) and have taken a greater interest in impacting positive changes in order to leave our earth a better place for my daughter. 10.Seeing a softer side of G. While I&apos;ve always considered G to be sweet, I wouldn&apos;t have necessarily labeled him as a particularly sensitive guy, before I got pregnant. But he was overwhelmingly supportive of me every step of the way and watching him fold miniature clothes, take an interest in the smallest details of our baby&apos;s life, and read books on fatherhood brought out a new side of him that I adore. I didn&apos;t think I could love him any more, but seeing him in his new role as a dad has made me realize I was completely wrong.